Manufacturer of a wide range of products which include solder feeder gun and soldering iron elements. 2. Two in one design. 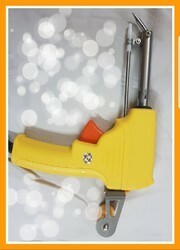 Thos item perfectly combines the soldering iron and the soldering wire feeder. You can operate it with the single hand. 3. Trigger upward, the soldering wire will roll forward to the tip continuously. 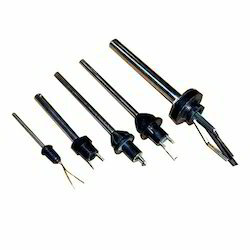 We specialize in manufacturing quality Soldering Iron Elements, which meets the specific requirements of our clientele. These are appreciated for the various features like strength and durability. These are available in various sizes and are manufactured employing quality raw material. Further, are customized according to the technical details specified to us by the clients. Looking for Soldering Iron Elements ?